Cork as in wine stopper? Today we don’t want a product, we want ethics, a firm that defends the values that we admire. A truth. Authenticity! We are not talking about reusing your favourite wine and champagne stoppers to make your handbag (though it could be an interesting idea)! Cork is the bark of the magnificent cork tree, and although both cork stopper and fabric are coming from it, their respective production process doesn’t depend on each other. 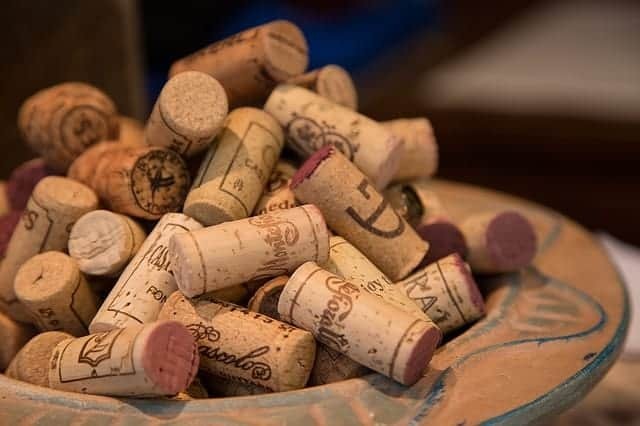 Cork is such a multi-purpose material that besides wine and fashion, it is used in countless other sectors such as decoration, furniture, floor and wall covering, construction, sports, aeronautic, pollution control, even health and cosmetics! I agree that it seems a lot for a bark, but after considering all its virtues, we understand why it keeps on surprising the scientific community as no other material/technology can match this true miracle of Mother Nature. Do you think the use of cork, besides wine stoppers, is pretty new? Think again! The Ancient Egyptians already used it as soles of their sandals and nautical tool; the Romans to seal their amphorae and insulate their roof and walls, so did the medieval monks… not to mention the famous Dom Pérignon who, back in the 17th century, found in this material the solution to the preservation and sealing issues of its highly prized nectar. Cork harvesting is an ancient and traditional process which can only be carried out by specialized, experienced and extremely precise professionals whose know-how is passing on from generation to generation. Recognized for the production of premium cork stoppers used in the finest wines around the world, Portugal accounts for half of the world’s cork production by itself! Cork is “nothing but” the bark of the cork tree, gently undressed by experienced hands without harming its natural development nor cutting it down. 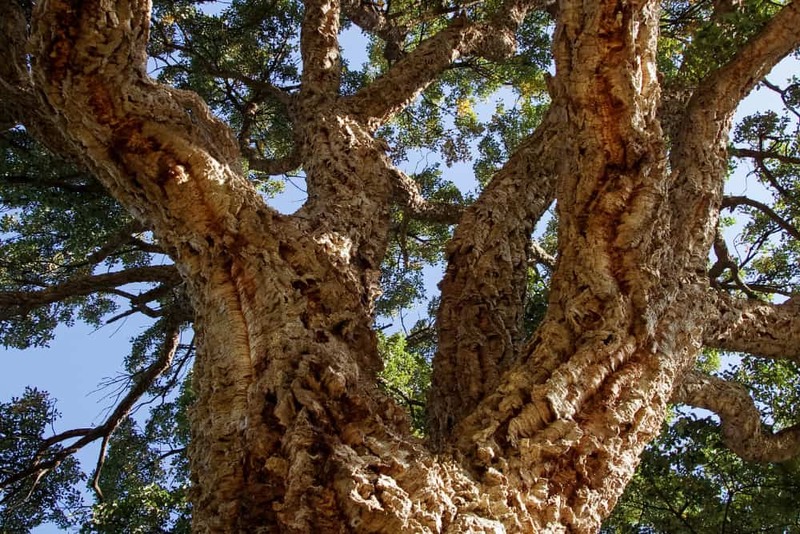 Cork oak forests shelters hundreds of plants and animal species, from which some endangered ones, not to mention the negative carbon footprint of such an extended green area. A cork tree needs 9 to 13 years to naturally regrow its bark. Being undresses without any damage, a single cork tree can be harvested up to 20 times (yes, your maths is correct: a cork tree can live up to 200 years or more)! Two flowers will never be the same, so why should cork? Each tree being different, cork fabric presents visual irregularities as small spots and cracks, making its charm and authenticity. Therefore, your cork essential is as unique as a fingerprint! As previously described, cork is used in a wide variety of sectors. Forget about the wine stoppers! Cork fabric is as soft as suede and due to its temperature naturally closed to our body’s, as comfortable as second skin! Composed by 50% of air, cork is almost as heavy as a feather. Anything you will be carrying around in your cork bag will be heavier than the bag itself! Cork does not absorb dust, prevents the appearance of mites and contributes to protection against allergies. Being so versatile and available in a wide range of patterns and colours, there’s always a cork essential to pair with your outfit and mood! In fact, the greatest fashion brands as Dior, Yves Saint Laurent, Louboutin and Chanel are already using it to give a natural and unique touch to their assortment! Cork is much more robust than most materials. A lifetime to enjoy our favourite cork essential! This one is easy; you only need to think about a wine stopper! Unlike animal leather, cork is totally impermeable to liquids and practically impermeable to gases. Its resistance to moisture allows it to grow old without deteriorating. Its slow combustion makes it a natural fire retardant and a barrier against fires, protecting the Portuguese forests, where fires occur unfortunately too often. Furthermore, cork burns without a flame and does not emit toxic gases during combustion. There is no doubt left that cork is not only the best alternative to animal leather, but also the best vegan fabric! The only limit to its application is imagination and creativity!